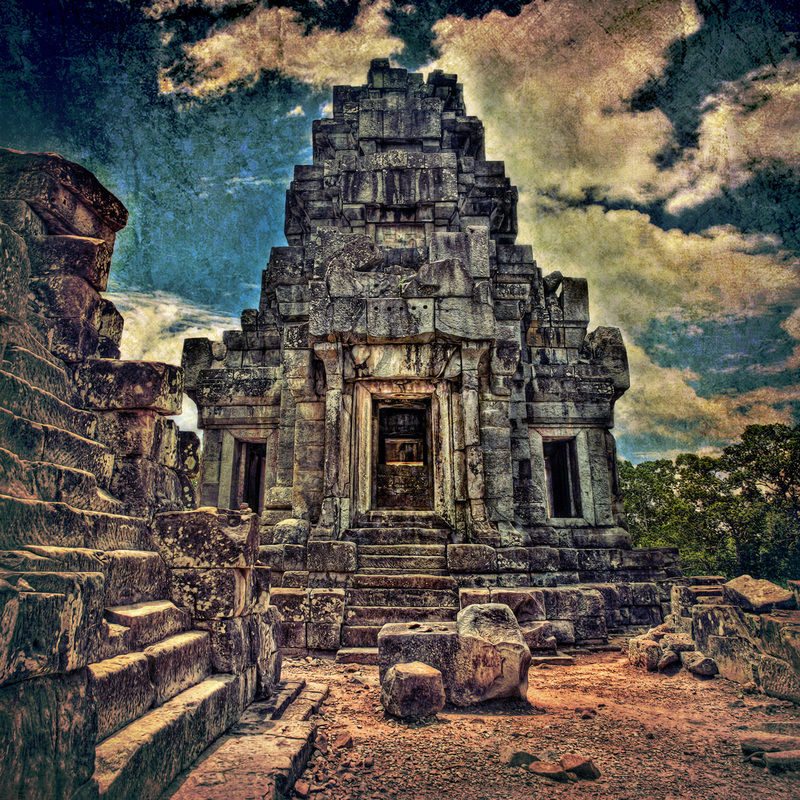 Here’s a textured photo from the ruins of Angkor Wat. I had a hard time making this HDR image work. The difficult part was evening out the colors in the sky with details of the architecture. After a few minutes of fiddling around with this photo, I decided to throw in a couple of textures, and bingo it’s perfect! It’s amazing what textures can do to a photo :).